The Sun. The center of our solar system that provides light, warmth and the ability for life to happen. Without it, we wouldn’t exist. Life literally revolves around it and the health of many species, including humans, depends heavily upon a long evolved relationship to the sun. It’s been worshipped for millennia as the giver of life and revered for its power, reliability, intensity and often magical qualities. With such a revered history, how do modern humans reconcile our innate and natural solar connection with the more recent and overpowering belief that the sun is a source of danger? Has the sun really become dangerous or have people gotten worse at how we approach it? It is likely true that the reduction of the ozone layer, climate changes and a few other factors make the sun’s rays more intense but it doesn’t sensibly follow that the sun is now lethal and we must avoid it, hide from it and/or slather ourselves in chemicals that block its rays. We’ve previously explored this concept in more detail (Does The Sun Cause Wrinkles?) but I’d like to revisit it (simply) as we move into the summer months. Although summer technically “starts” June 21st, the summer solstice marks the peak of the sun’s cycle each year, meaning that the month and a half before and after June 21 (May 6-Aug 6) is the actual summer season in terms of the sun’s intensity, time and exposure. That means we need to be practicing some sensible sun exposure if we weren’t already. Theoretically, your tan should start in the early spring (after a couple months off during the winter) as the days get a little warmer and you spend more time outside with your skin exposed. With the sun lower on the horizon and less intense, it’s the perfect time to allow yourself and skin to adapt to the spring sun. If you do this consistently your skin slowly develops a tan and some good resilience and will almost always be able to handle the summer sun, even under long exposures, unless you do something totally irresponsible and well beyond your threshold. The problem arises when we don’t allow ourselves to slowly adapt over the moderate months and then start trying to work on our tan aggressively in late May when the sun is already in the summer quarter. Just like trying to run a half marathon without training, you’re likely to cause some damage. Time after time, year after year this really adds up and weakens the whole skin system. Additionally, when we consistently use sunscreen and lotions to “protect” our skin, it doesn’t develop it’s resilience to sunlight and we don’t get the benefit of melanin and vitamin D production which helps bolster the skin and make it healthier and more robust. The end result is weaker, more fragile skin. Add to it an less than ideal diet, particularly in vitamins/minerals, omega 3 and saturated fat, and our skin doesn’t have the raw materials for skin regeneration and the proper anti-inflammatory/healing response. What’s the sensible approach to sun exposure? Eat a well balanced diet, sleep well, move your body and keep your stress levels appropriate. Healthy bodies handle sun better. Getting sun on your skin in early spring will allow it to begin the adaptive process. As the sun’s rays get more intense with the end of spring, spend more time in the sun. Let your tan build up slowly and surely. Get your sun then cover up. Sensible sun practitioners shouldn’t be in a position of overexposure because they’ve been training their skin to handle it. However, if you find yourself in the position of potentional excessive time in the sun, allow yourself to soak in your limit of sunshine then cover up with clothes or shade. Coconut oil and other tropical substances are great nourishment for the skin, both before and after exposure. Only use sunscreen as a last resort. Putting chemicals on our skin is not the answer unless you have no other choice. Put your skin in the position to be able to handle sun, don’t overprotect it and leave it vulnerable to even the littlest amount of exposure. Sunscreen should be used as a stopgap, not a default practice. Spend the amount of time in the sun that feels right and you’ve adapted to. Respect your heritage and history with the sun and listen to your body. If you pay attention to it, your skin and brain will tell you when it’s time to cover up. Also, if you’re stressed, underslept or eating poorly, operate under the assumption that you’ll be a little less adaptable to long sun exposure. The end result: be sensible about the sun, it’s vitally important to health. Get as much sun as you can without overdoing it and listen to your body. 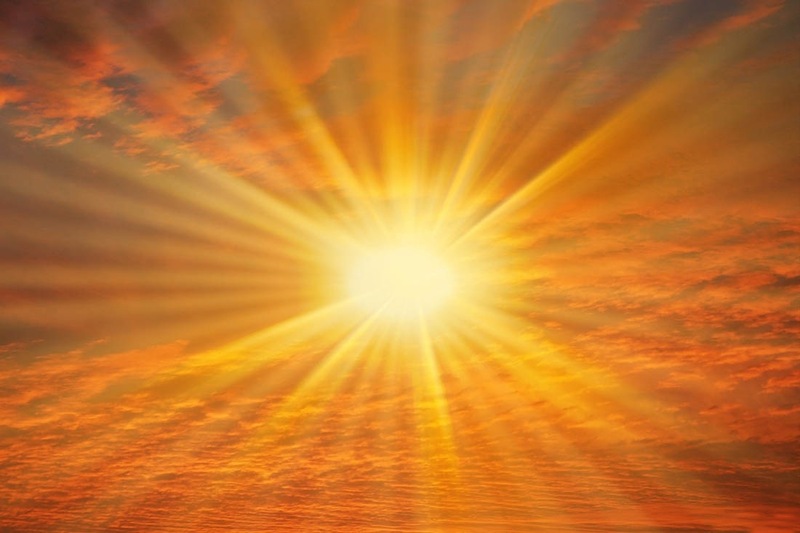 Reestablishing a connection to the sun is one of the elemental components of human function and optimal health. Don’t fear the sun- befriend it. You’ll find it to be one of the best allies you can have. P.S. Cholesterol is needed to synthesize vitamin D- limiting it artificially or driving it lower could be harming your body’s adaption to, recovery and benefit from the sun.